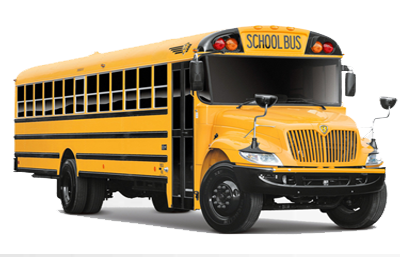 Prompt Charters is the leading charter bus rental company in Santa Monica, California. 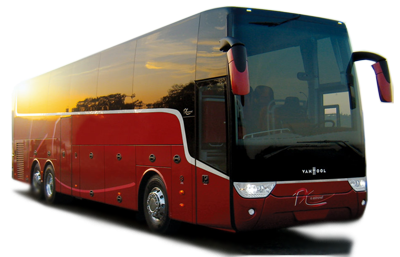 Our fleet includes most modern and luxurious 56 seat coach buses, 25-32 seat mini buses, 48 seat school buses and limos and sprinter vans. Buses can be charterd for hourly use or for daily rate. All buses come with professionally trained chauffers who have vast knowledge of the city. Santa Monica blends the charm and appeal of a coastal getaway with an unforgettable beach and the sophistication of an urban center. Known for its healthy lifestyle, Santa Monica is situated in a compact, walkable 8.3 square miles. The city boasts one of the most respected public transportation systems in the nation, making the entire city easily accessible and convenient. Additionally, the city's world-famous beach and bike trail offer a vast assortment of outdoor recreation and activities. Santa Monica is the perfect base for vacationers and business travelers seeking easy access to metropolitan Los Angeles and the rest of this destination-rich region. Whether you are on your corporate travel or Group Travel, Sightseeing Tour or Professional Sports, Religious Convention or Bachelor/ette Party, Wedding or Convention and Trade Show, School Field Trip or Political Campaign, no need to look further, Santa Monica is the best place. It is a tranquil, easygoing haven where you can get to everything good in the city. The beach setting is the number-one reason many people visit Santa Monica. The city's world-class restaurants and first-rate shops also draw thousands of families, couples, celebrities, international travelers and first-time vacationers each year. Santa Monica is an immensely satisfying destination for travelers. The Santa Monica Pier is famous for its eateries, shops, high-tech arcade, roller coaster, giant Ferris wheel and other rides. The Third Street Promenade which is a moviegoer's haven, has some 20 movie theater screens, hundreds of stores, numerous restaurants, animal topiaries and street entertainment running the gamut from dancers to fortune tellers. The Montana Avenue is a great place to celebrity watch and interspersed with cafes, coffee shops and restaurants. Palisades Park is a wonderful place for walkers, bikers and people watchers, and connects with the broad Santa Monica beach made famous in TV's "Baywatch" episodes. At Muscle Beach, crowds would gather to watch young men and women honing their bodies. Also Santa Monica Beach, Ocean Avenue, Santa Monica Visitor Center, Santa Monica Chamber of Commerce, Santa Monica Mountain and 26-Mile Bike Path which is a popular path for biking, jogging and in-line skating along the Pacific Ocean. Once being in Santa Monica you will be really wondered of the amazing beauty and the facilities it offer. From the city you have the services of Charter buses, sedans, limos, SUVs, vans, mini buses, motor coaches, limo buses and party buses to any of your desired destination. So plan your trip today itself and also make avail of the airport transportation services and aid during Emergencies.